Belfast, Northern Ireland – October 14–16 2007 — This year’s Society of Information Technology Management conference SOCITM 2007 was held in Belfast and Four Js sponsor Neil O’Meara joined government officials in the debate regarding the impact of Web 2.0 in the local government workplace. The debate facilitated by Dan Jellinek, Editor of E-Government Bulletin, drew a spirited exchange between propronents of the need to control workers and those that sought to liberate them by encouraging creativity. A show of hands at the beginning of the plenary session on the potential use of ‘Web 2.0′ techniques in local government showed very few IT directors – only around 10% – have created their own ‘Facebook’ profile. This low figure was partially explained by the fact that a slightly larger number of hands went up – around 15%-20% of the audience – when the question was asked: ‘Whose employing council restricts or blocks the use of Facebook in the workplace? The straw polls illustrate the current concerns which exist in local government towards controlling employee use of social networking. In the open debate session, Tim Dawes of Ninevah Consulting said that attracting young workers was a major challenge for council IT managers, and issues such as flexible working, employee trust and allowing people to use technologies such as instant messaging were key to recruiting younger people. “You can’t lock it down too much: you need to address working practices instead,” Dawes said. 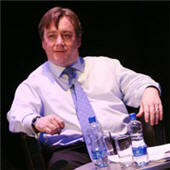 David Wilde said councils could use Web 2.0 techniques to improve services by empowering the user and generating efficiencies creating platforms where people could help themselves and each other more easily. “Is Web 2.0 about empowerment of the people? In what way should we engage? Do people have the skills to use it?” asks David Wilde, head of information, customer services & CIO, London Borough of Waltham Forest. “There is a place for Web 2.0 in areas where it can add value, such as in planning consultations. The public will do it anyway, so we need to ask how can we engage. It is not going away,” Wilde said. Sarah Coburn, the BBC television journalist and producer acting as the main conference chair, told the session the BBC itself has an issue with control of employee use of the new wave of social networking sites. said Sarah Coburn, BBC Business Breakfast & News 24 presenter. the use of social networking or online community techniques within councils’ own web services. The main areas of concern in local government appear to be employees wasting time browsing non-work-related social network sites, which provokes related security and organisational concerns. “Work is changing and we need to be more flexible. The idea of control is ridiculous – devices are getting smaller and connected in different ways, and convergence of networks needs a different way of thinking,” said Richard Steel, Chief Information Officer at Newham Council. The Society of Information Technology Management (SOCITM) was founded in 1986 as the professional association for ICT managers working in and for the public sector.